I’ve been waiting to pull out this blog post for a while. I wasn’t sure when to post it, but on the second snow date in a week, we’ve got a little extra time on our hands. Amber reminded me about the Twinkies this morning, so there could be no better time. Heres the back story: 15 years ago when Rob and I got married, we were leading Lifeline at Granger Community Church. Rob was the new Youth Pastor. We had about 20 kids that attended regularly at the time. The kids ( I say kids…I was 19) were so kind and creative and clever in the gifts they gave us. One in particular has been a source of conversation for ….15 years. I remember so clearly sitting around (before the wedding) talking with Erica and Melissa Griffey, and a few other students about Twinkies. 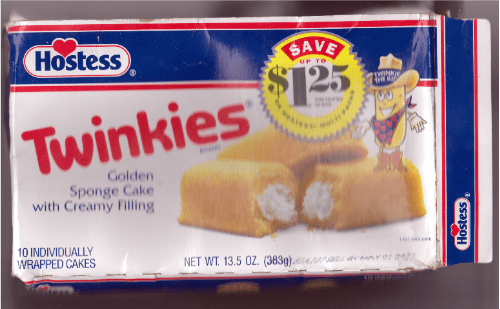 We debated about whether Twinkies really did have a shelf life of 15 years like everyone said they did. Fast forward to a wedding reception Granger gave for me and Rob shortly after our wedding. 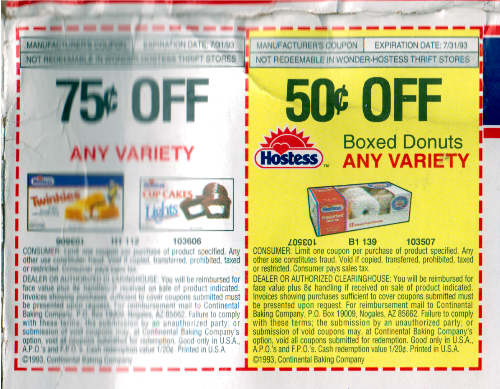 Among the gift cards and blenders, there was a box of Twinkies. Erica and Melissa were smiling ear to ear. Little did they know that that box of Twinkies would survive our move into Park Jefferson apartments, Tuxedo Drive, Cherry Rd., and now our present home. Who would have guessed? The idea is to put the theory to the test within the next month. Anyone interested? 6 of the 10 Twinkies have mysteriously vanished over the years, despite warnings posted all over the zip lock bag around the box. I have a feeling many a babysitter went home from our house with a bad bellyache. Who’s up for the challenge? There are 4 Twinkies calling your name! He has a stomach of steel.